The favourite month for many has begun. December – The Christmas month brings in the air of festivity, jingle of the bells, gift exchange, merry making and most importantly the aroma of the Christmas delicacies. One can’t help but binge on all the Christmas dishes during this happy month. Each part of the world celebrates Christmas its own way. 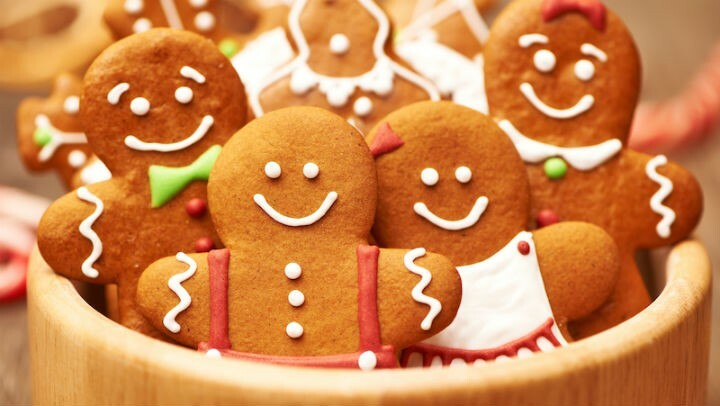 Here are some of the Christmas foods relished across the world, which you can try this holiday, regardless of whether you celebrate Christmas or not. Buche De Noel is a French chocolate cake, which was created in the late 1800s. 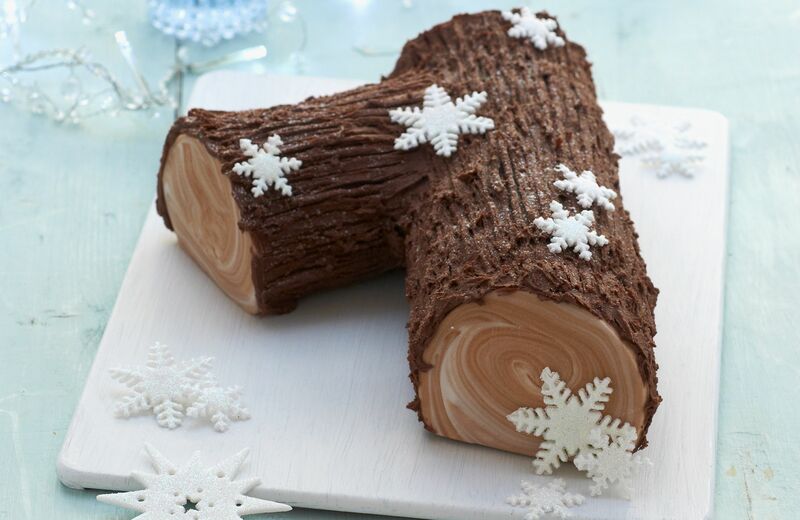 The cake resembles a log of wood, which is a representation of the Yule log tradition. It is made up of soft, spongy Genoise cake that’s rolled into a cylinder, with a heavy, buttery chocolate cream filling and frosting. Usually, powdered sugar is sprinkled all over the cake that looks like the Yule log is covered with snow. This is the most popular tradition in Italy, where the people of Italy fast during the eve of Christmas. They avoid all forms of meat and dairy throughout the day and indulge on a light feast consisting of fish and sea foods of various kinds. 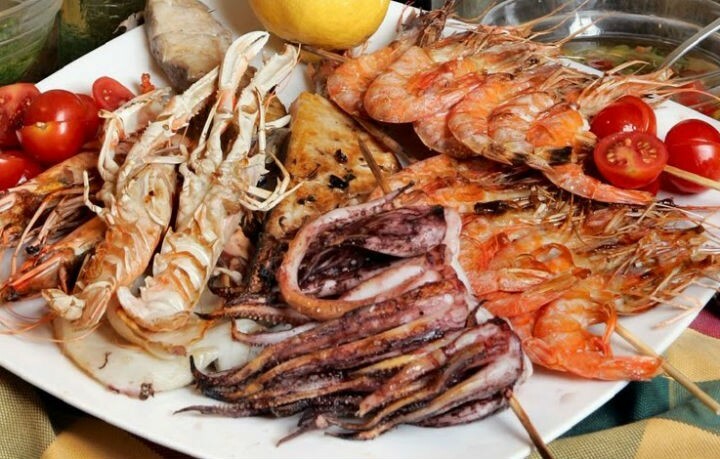 Usually seven different varieties of sea foods are served, hence the name “The feast of seven fishes”. The seven different dishes is a representation of the seven sacraments of the Roman Catholic Church. Over the course of time this light feast has been converted into an extravagant dinner with an array of sea foods, where friends and family gather and celebrate the season of happiness. A typical Australian Christmas cannot go without Ham. The ham is prepared in several ways, with each one giving their own unique touch to the dish. 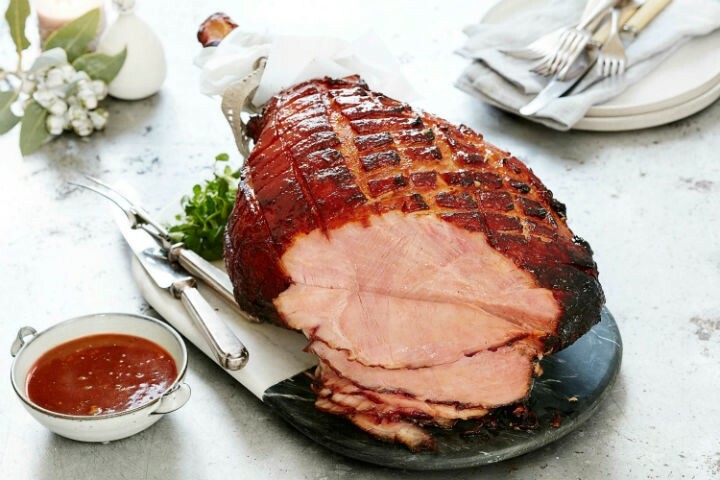 Glazed ham is one of the most popular recipes in Australia. The ham is cooked in the oven and is glazed with honey, pineapple, maple, cherry, cranberry juice etc, giving the juicy ham a hot and sweet touch. Since Christmas in Australia falls during the beginning of the hot summer months, many people prefer to have cold ham and salads. Although Christmas is not a religious national holiday in Japan, it’s celebrated widely for the fun, frolic and merry – making. It is the time where friends and family exchange gifts and have a fulfilling treat with finger licking food. It has become a tradition that people ate KFC during Christmas. It all began with an ad campaign that said “Kentucky For Christmas”, in the 1970s. 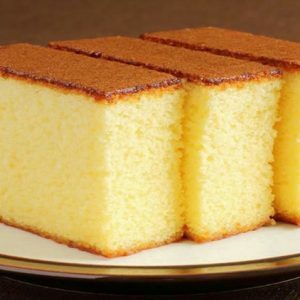 Another traditional recipe of Japan that is cooked for Christmas is their light sponge cake. The cake is coated with heavy whipped cream and is topped with strawberries, chocolates or a favourite topping of their choice. Almond is an important ingredient when it comes to Spanish desserts. One such traditional dessert of Spain is turron. 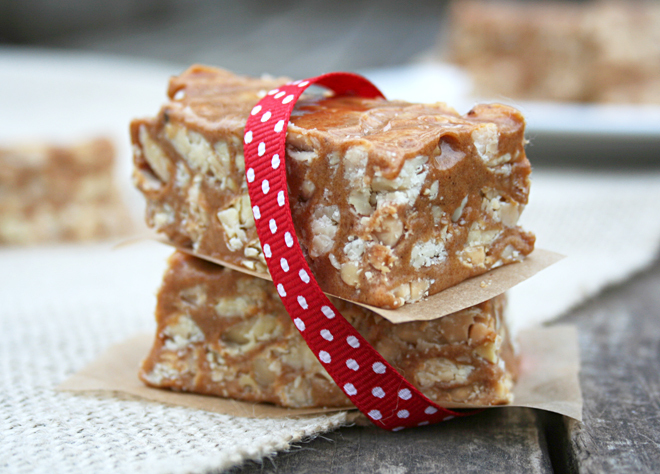 It is a flavourful chocolate bar made of almonds, honey and eggs. Turrons come in two forms; one is a crunchy hard brittle candy made of whole almonds called ‘Turron de Alicante’. The other is a chewy bar of chocolate made of almond paste, called ‘Turron de jijona’. Spaniards celebrate their Christmas with a sweet touch of this traditional dessert. 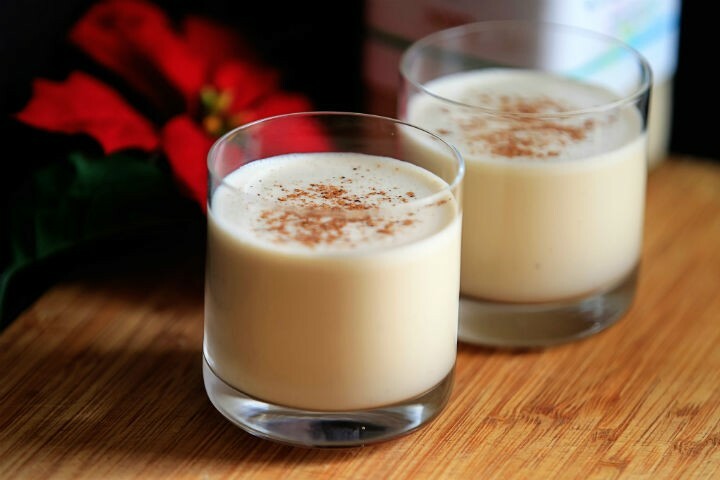 Eggnog is a traditional beverage that Canadians sip on during the Christmas month. It is a thick creamy beverage, made of eggs, milk and sugar, with a hint of nutmeg and cinnamon. This usually chilled beverage is sometimes warmed up to keep the people cosy during cold days. The drink is sometimes spiked up with alcohol according to people’s preferences. 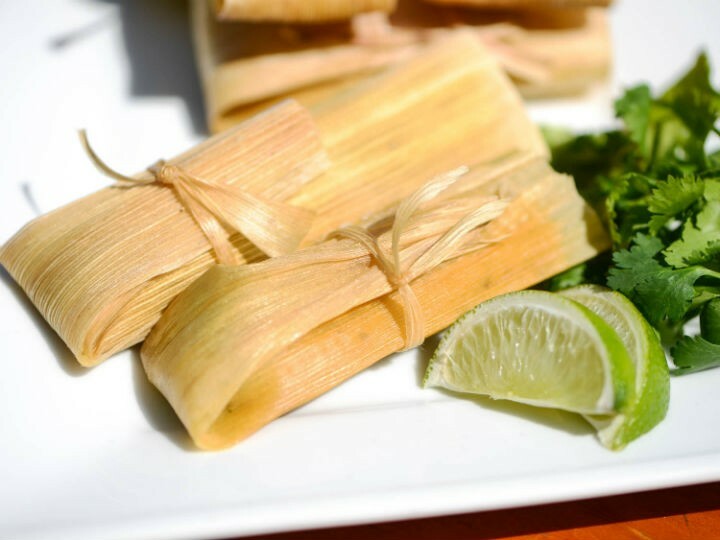 Tamale is a traditional Mesoamerican dish that is offered as a part of ritual offering during Christmas. It is a lip smacking, yet time consuming dish usually made in batches. It is made of corn based dough, stuffed with meat, cheese, vegetables or any stuffing of their choice, wrapped in banana leaves. The goodness of the fresh banana leaves is absorbed by tamales and the leaves are discarded while eating. This is a must-have in a traditional Mexican Christmas. 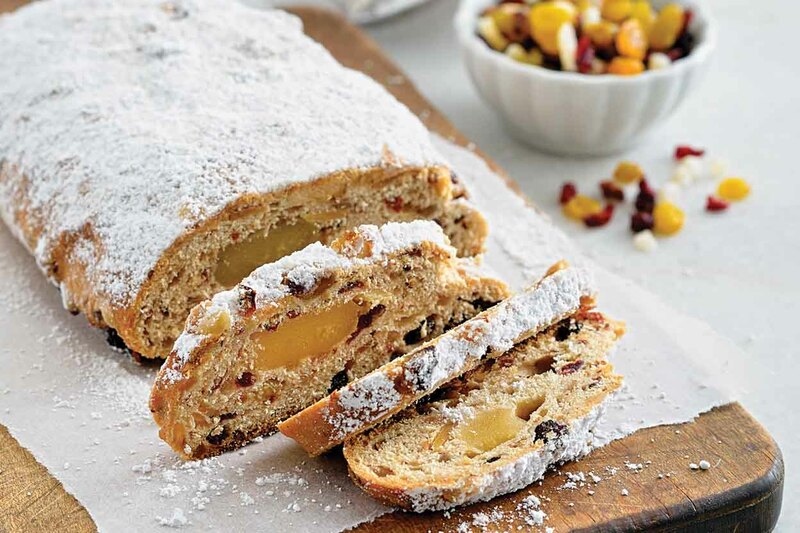 Usually called christstollen, this traditional fruit cake or bread is usually prepared before the holiday season begins and is gifted to family and friends. It is a rich dessert that can be snacked any time during the day which is made of abundant dry fruits, a rich marzipan filling and is coated with icing sugar. A Swedish December month is incomplete without pepparkakor. It is a spiced gingerbread that is made of spices like nutmeg, cinnamon, ginger or cloves and is sweetened with sugar, honey or molasses. These buttery cookies are a great accompaniment with a warm glass of glogg. This combination simply makes a perfect cosy Christmas. 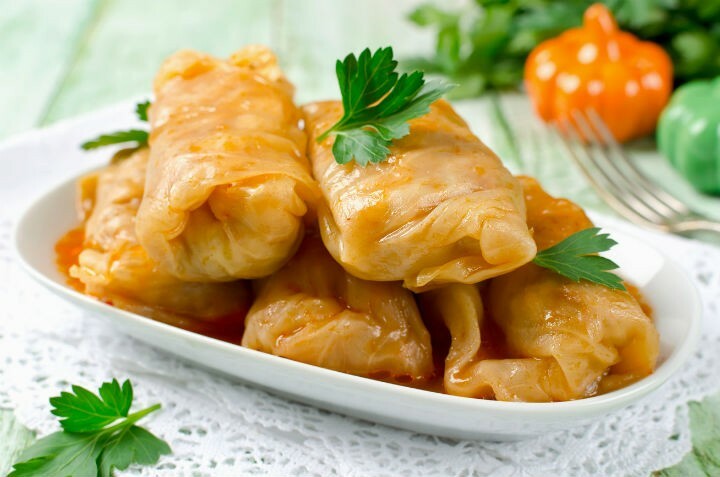 This Hungarian cabbage roll made with pickled cabbage leaves, dates back to the Turkish era. 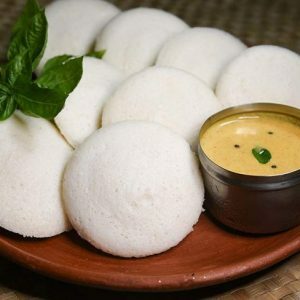 This is an ideal food for Christmas and new years. It is made of minced pork meat filling wrapped in pickled cabbage leaves and has a generous amount of paprika that is usually served with sour cream. This spicy, tangy dish is everyone’s favourite. So step out of the traditional Christmas menu and try some of these recipes instead. 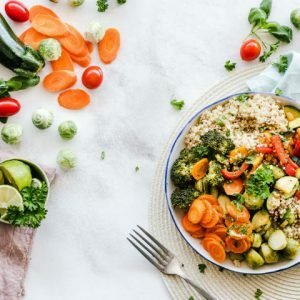 Feel free to comment or share your thoughts on this "Top 10 Christmas Recipes across the World" article from Awesome Cuisine.